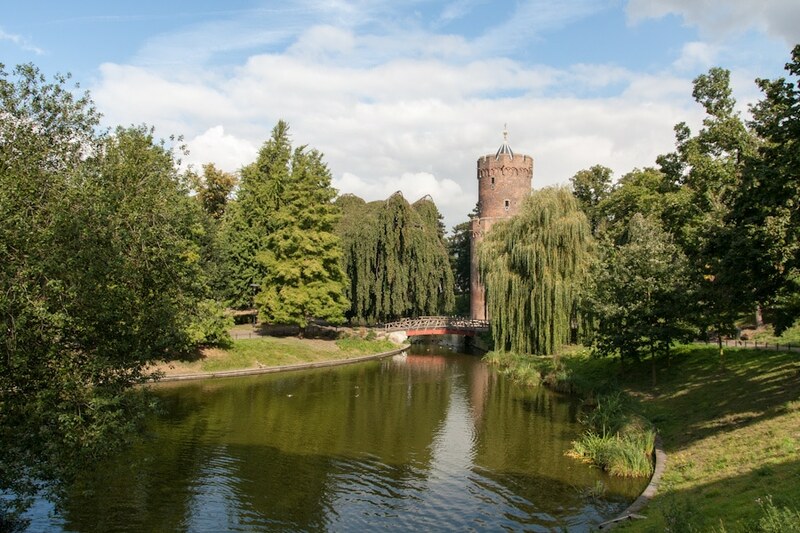 In the province of Gelderland we find the beautiful and historically rich city of Nijmegen. With over 165,000 inhabitants it is the largest city in the province and the tenth largest city of the Netherlands. 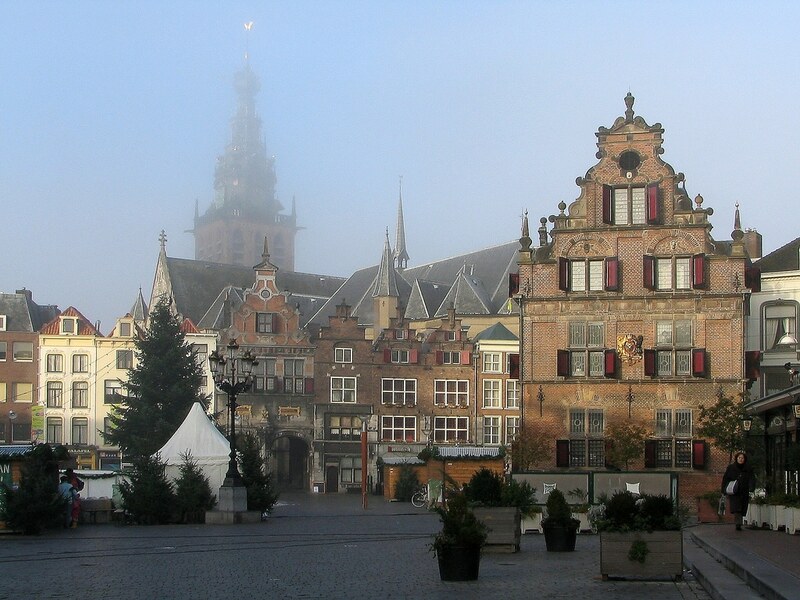 Though the citizens of Groningen would disagree, the city of Nijmegen claims to being the oldest city in the Netherlands. The city recently celebrated its two thousand year anniversary, so if not the oldest, it is certainly up there in the running. With a large and growing population, Nijmegen is located in the east of the Netherlands near the German border. A large percentage of the inhabitants of the city are in their 20’s due to the number of schools and universities located there. One of the earliest mentions of the city is around the 1st Century BC. At that time the Romans built a camp on the spot where the city would later be built. They chose the location because of the strategic defense offered by the surrounding hills. 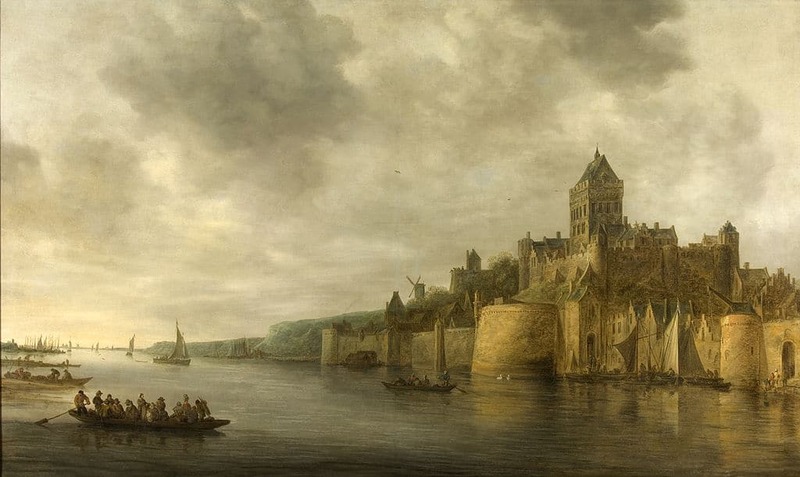 By 98 AD Nijmegen was granted city rights by the Romans. During the 4th Century, as Roman rule in the region was diminishing, the city became part of the Frankish Kingdom, and by the time of the Dutch Revolt in 1585, Nijmegen became part of the Republic of United Provinces. Due to its geographic location, the city was fortified heavily for a number of years, and endured numerous sieges over the centuries. As the population increased, many in the city wanted the fortification torn down to accommodate growth. However, it wasn’t until 1874 that the defenses were actually dismantled. Though at peace today, Nijmegen has experienced centuries of war related violence. Even as recently as WWII the city was the focal point of aggression. In 1940 it was the first Dutch city to be captured by the Germans. In an extremely unfortunate miscommunication, American bombers actually bombed the city, while mistakenly thinking they were bombing the German city of Kleve. The death toll was over 750 people. Throughout the difficulties of war and aggression, the city of Nijmegen has remained firm, and is today a jewel of history and architecture. There are a number of universities and school of higher learning in Nijmegen. The Radboud University Nijmegen was founded in 1923, and was the first Catholic school in the Netherlands. There are also vocational, intermediate and secondary schools located here. Of special distinction is the Nobel Prize in physics that was awarded to Andre Geim and Konstantin Novoselov while students at Radbound University. Whether or not Nijmegen is the oldest city in the Netherlands or not: it is definitely worthy of attention. Few cities in this region of the world have gone through as much turmoil, and had as much to overcome as this city has. Today, it is a vibrant, cultural landmark full of marvelous museums, educational institutions, and upscale shopping opportunities. Its buildings and architecture will transport you back in time and the beauty of the surrounding country will help you to understand why the people, who live there, love to call it home. If you are flying into Holland then you are likely to be arriving at Amsterdam’s Schiphol airport. The airport is some way from Nijmegen, at a distance of around 135 km, but it is served by a very good and quick train connection. There is a train statiion in the airport itself where you can board for your journey. The trip should only take you about one and a half hours and there are usually 2 direct trains per hour. If you are driving from Amsterdam to Nijmegen you need to drive south on the A2 until you reach the junction with the A15. Then you travel eastbound on the A15 until you reach Nijmegen. If you are not used to it, and you do not need your car, It is far better to leave it parked and travel around the city by other means. The city has a problem with congestion which is especially bad when commuters are traveling to work. This is also not helped by the fact that 6 of the major roads in the city all end up at the same roundabout. If you need help with finding out fares or times of trains and buses you can ring the central number at, 0900 9292, but be aware that this service costs 70 cents a minute with a maximum of 14 Euros! Nijmegen Taxi Centrale: +31 (0)24 366 00 44. As with most Dutch cities the best and easiest way to get around is by bicycle. There are many useful cycle lanes and you could save yourself a lot of time sitting in the traffic. It is possible to rent bikes at the underground are of the train station. Nijmegen is a large city in the east of Holland, near the border with Germany. It is also part of the metropolitan area of Arnhem. It is well known for being the oldest city in the Netherlands at just over 2,000 years. Much of Nijmegen is made up of fairly recent buildings due to the WW2 bombing, first by the Americans and then by the Germans had flattened large areas of the city. Nijmegen is also reputed to be one of the warmest cities in the Netherlands. The Museumpark Orientalis, is a fascinating museum for those that have an interest in world and European religions. It houses artefacts and exhibitions of all things concerning the 3 religions (Judaism, Christianity and Islam), that have helped to shape the Europe of today. House of the History of Nijmegen, is an interesting museum that houses exhibits to do with the city and history of Nijmegen and has some very interesting interactive exhibitions. The museum is housed in de Mariënburgkapel, a medieval chapel. The International Four Day March Nijmegen takes place every year on the 3rd Tuesday in July. The event consists of a series of walks in the local area at anywhere between 30 to 50km. There are also other events and festivals at the same time and it can bring in the largest crowd of any event in Holland. Restaurant de Hemel is a great place to eat in an historic setting. They serve a wide variety of well cooked meals and high tea. It is a great eating experience in a beautiful and quiet setting. Etcafe De Plak is a great cafe for those with a more alternative view, where the waiters and waitresses dress in an accordingly alternative way. But the food is good and reasonably priced. Van Buren of the Molenstraat is a slightly more upmarket affair. Serving fine French Cuisine, you will eat well here,but not cheaply. Universiteitscafe Piecken, Studentencomplex Hoogeveldt is a great student bar where you will be drinking with, not only students from the local area, but also international students. With party nights as well as reasonable prices you will be sure to have a good night out here. Cafe van Ouds, Augustijnenstraat 33, is a great bar with a huge selection of beers. 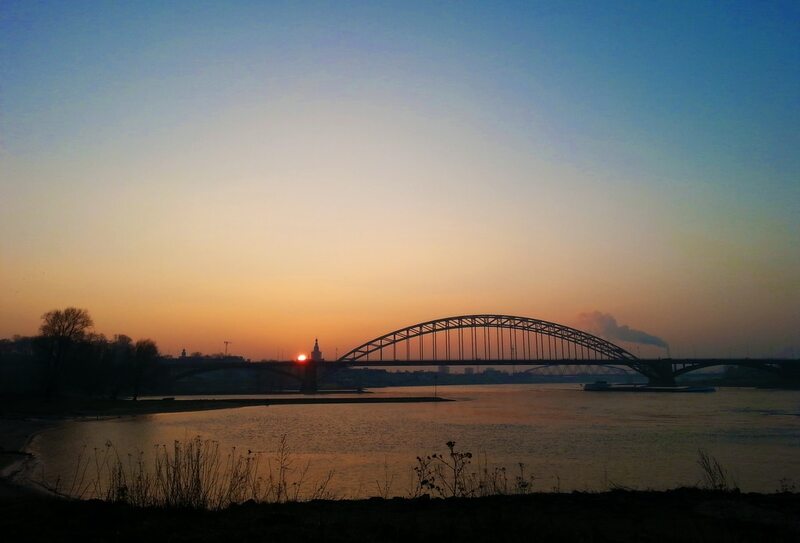 Although not a obvious choice for a holiday, Nijmegen with its active social scene and beautiful surrounding countryside it is well worth the effort.